SAVE TIME AND MONEY/ ENJOY THE HUSTLE FREE OF SELLING YOUR CAR. [2 DOORS] Prado GXR 2.7 4WD 2016 GCC! FULL-SERVICE HISTORY FROM OFFICIAL DEALER. LAST SERVICE DONE AT 40,000KM! DEALER WARRANTY UNTIL 02/08/2020 OR 100,000KM! TEST DRIVE AVAILABLE WITH APPOINTMENT. WE ACCEPT TRADING WITH YOUR OLD CAR WITH OUR CAR. MORE THAN 200 PRE-OWNED LUXURY AND ECONOMIC CARS IN STOCK AT MOST COMPETITIVE PRICES. Established since 1988, Tesla Motors has been active in used cars trading all over the world. Being one of the largest import/export of automobile in the country, the company has endeavored to provide our customers with the most superior automobile sales and after-sale services. At Tesla Motors, our corporate goal is to distribute quality used cars as well as to provide best customer satisfaction. 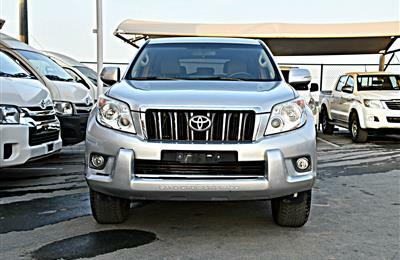 Hi, I am interested in your car - [2 DOORS] Prado GXR 2.7 4WD 2016 GCC! 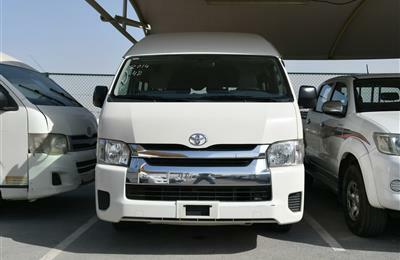 DEALER WARRANTY: 02/08/2020 ////F/S/H [ONLY 1,393 DHS MONTHLY] on Autozel Please let me know if it's still available. Thanks.